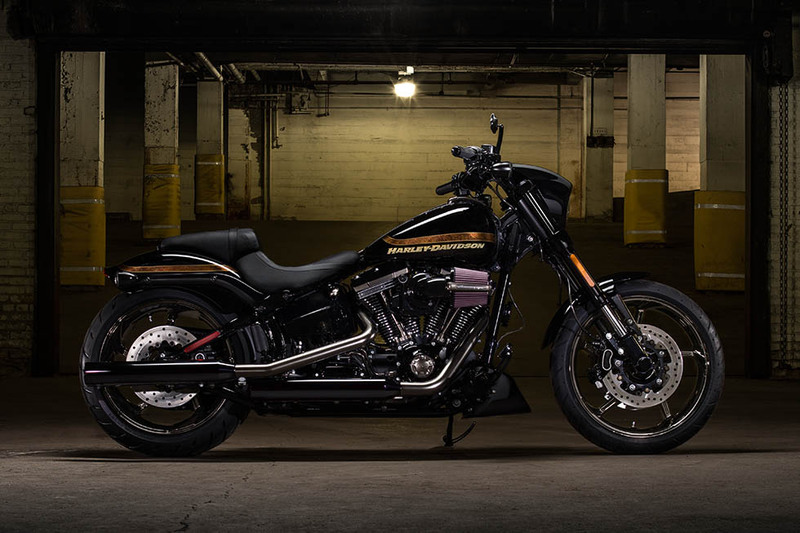 The Harley-Davidson® CVO™ Pro Street Breakout® is part of the CVO™ or Custom Vehicle Operations lineup. This bike is packed with distinctly custom features and dark custom style. 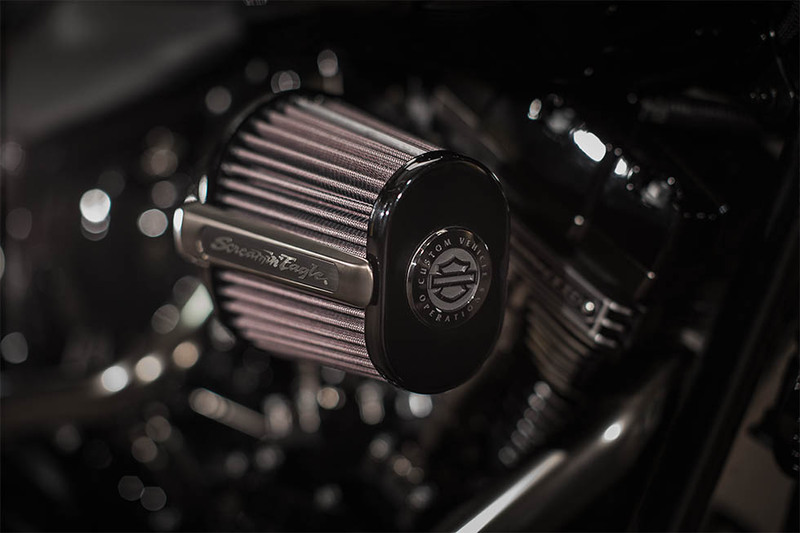 That power is paired with plenty of performance thanks to the powerful Screamin’ Eagle® Twin Cam 110B™ V-Twin. 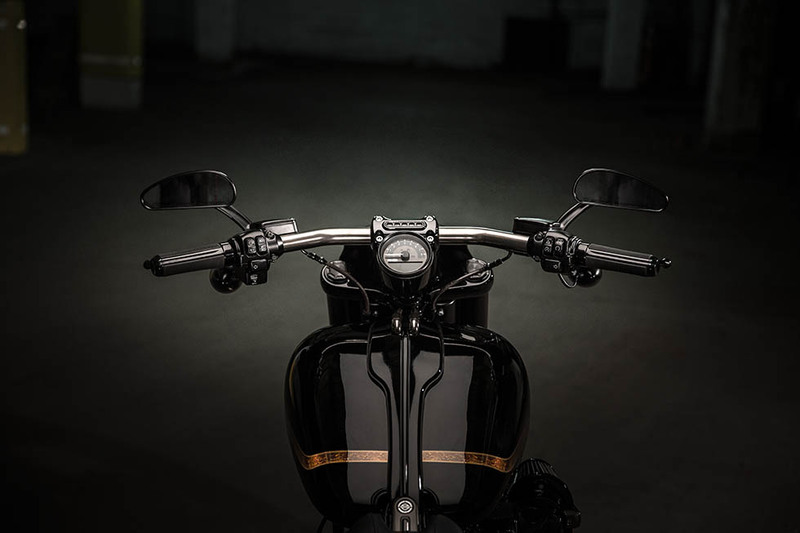 There’s not much like the Breakout® on the road, and there’s no other bike like it coming straight from the factory. Find out more at Rawhide Harley-Davidson®, located near Overland Park and Lenexa, Kansas. The Pro Street Breakout® is designed to scream performance at any speed. 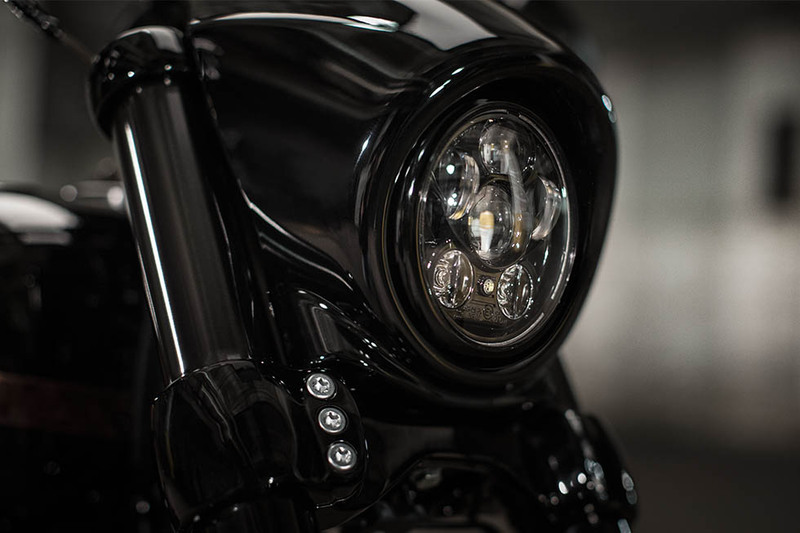 When you start to look at the details of the CVO™ Pro Street Breakout®, you’ll realize how much attention went into this bike. Aggressive Stance: With race-inspired seat, drag bar, and forward controls, this bike puts you in an aggressive riding position. It looks the part too with it’s long, low, performance oriented stance. 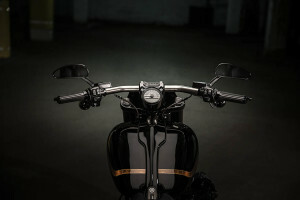 Premium Dark Finishes: Every surface on this bike is adorned with premium custom finishes. Satin chrome, gloss black, matte black, and more are all highlights. 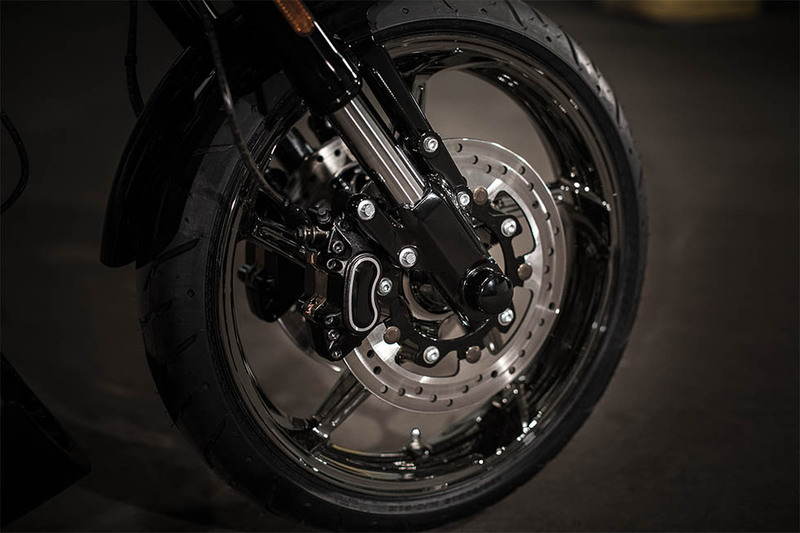 240mm Rear Tire: The fat rubber on the back of the CVO™ Pro Street Breakout® is aimed at delivering torque to the ground, so no energy is wasted. CVO™ Custom Paint: Harley-Davidson® Custom Vehicle Operation™ motorcycles get some of the best finishes on the market, and this model receives a race inspired stripe on the fuel tank and rear fender, and premium rich, black paint elsewhere. Blacked-Out, Blunt-Cut Mufflers: The Screamin’ Eagle® Twin Cam 110B™ delivers a muscular, bold, gruff sound that emanates from these mean looking blacked-out, blunt-cut mufflers. LED Lighting: LED lights deliver more brightness for superior visibility even on the darkest streets. 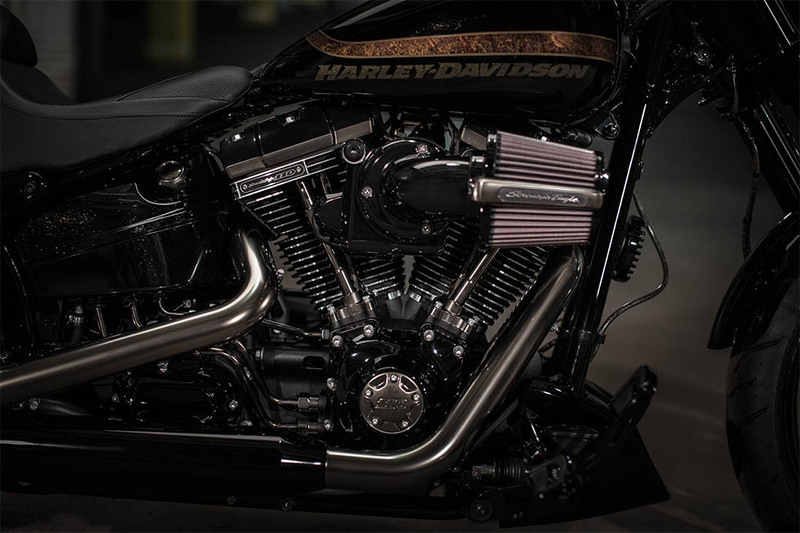 All-New Front End: Up front, the CVO™ Pro Street Breakou® offers an aggressive look with its 43 mm inverted forks, black sliders, burly triple clamp, and unique speed screen. 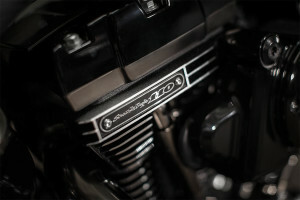 Race-Inspired Seat with Custom Badge: The seat is designed to hit the track, and keep you tucked into a perfect performance oriented position. 5-Spoke Aggressor Wheels: The 5-spoke, gloss black Aggressor wheels are both fantastic looking and lightweight for high performance. 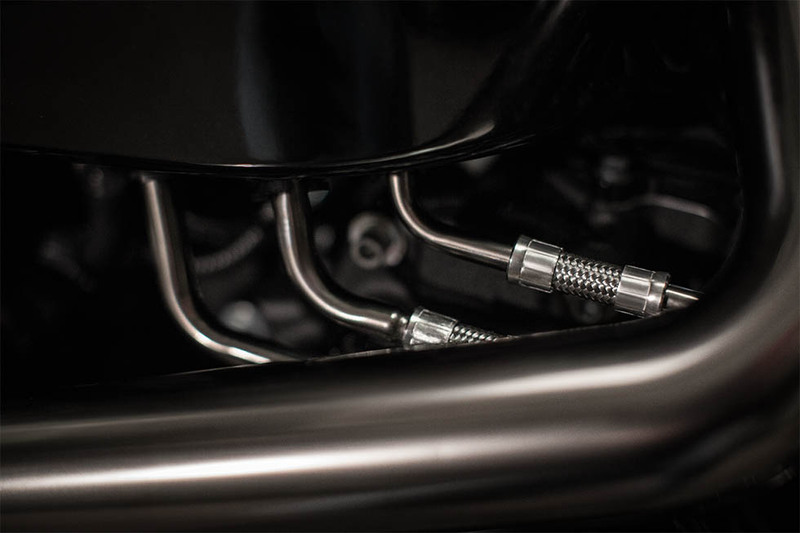 New Smoked Satin Chrome Finish: Smoked satin chrome on the pipes, push rods, and cylinder heads provide a completely custom look that’s like nothing else. 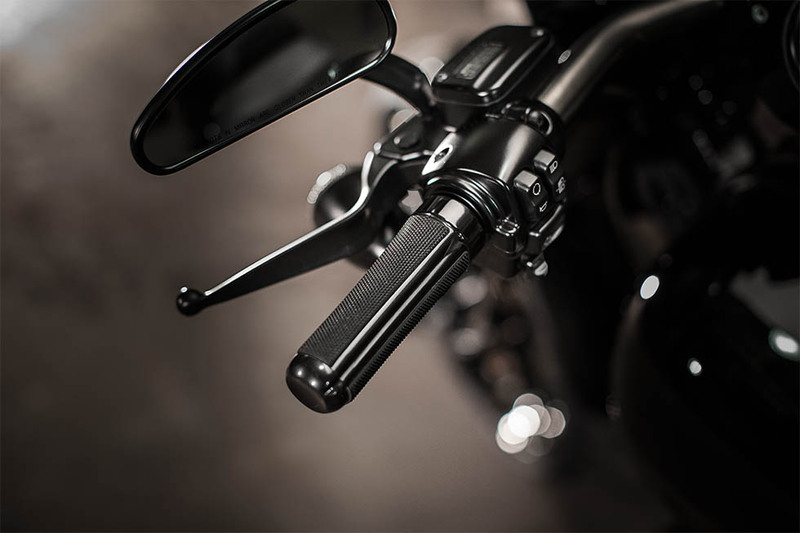 Race-Inspired Speed Screen and Chin Spoiler: The CVO™ Pro Street Breakout® brings a classic race bred attitude, with fixed speed screen and chin spoiler up front. 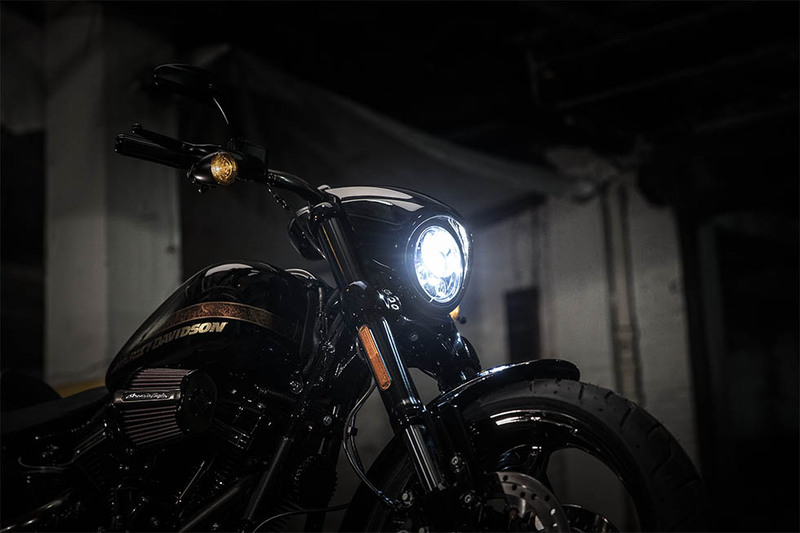 Blacked Out Airflow Collection Controls: The CVO™ Pro Street Breakout® is custom with Airflow Collection components like footboards, shifter pegs, brake pedal, and hand grips. Side-Mounted License Plate: The license plate is pushed to the side to keep it out of the way for a sleek profile out back. Custom Low Profile Console: The tank top console is simple. We’ve kept it clean and low profile for a down-to-business look. 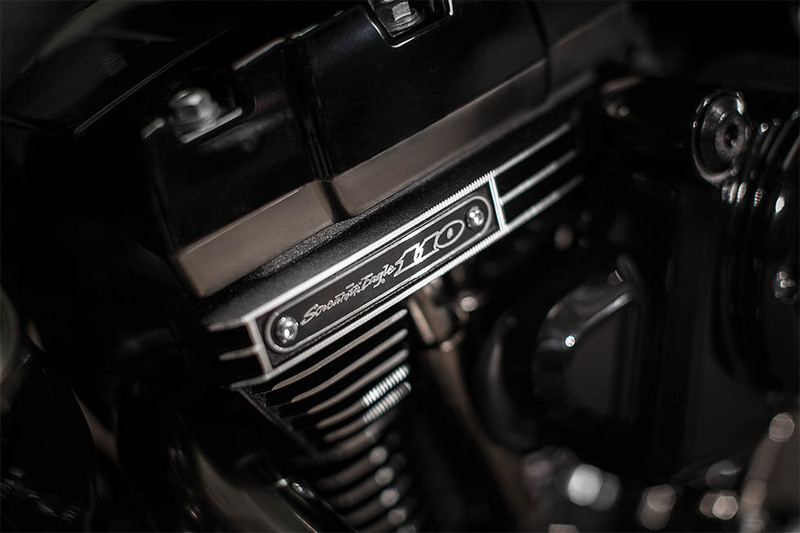 At the heart of the CVO™ Pro Street Breakout® is the iconic Screamin’ Eagle Twin-Cam V-Twin 110B™. We’ve used our Harley-Davidson® heritage to make sure this powerful, high-speed engine has all the features you need. 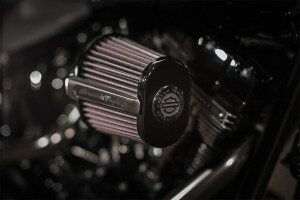 Screamin’ Eagle Twin Cam 110™ with Smoked Chrome: The Screamin’ Eagle® Twin Cam 110B™ delivers massive torque and a satisfying exhaust note, all while looking fantastic. Six-Speed Cruise Drive: The CVO™ Pro Street Breakout® gets the latest Cruise Drive® transmission. This six-speed gearbox is smooth shifting and easy to manage, and it offers a tall top gear for quiet highway cruising and tightly spaced lower speeds for rapid acceleration. High Performance Slip & Assist Hydraulic Clutch: This high performance clutch requires less effort and offers smoother shifts for smoother power delivery. 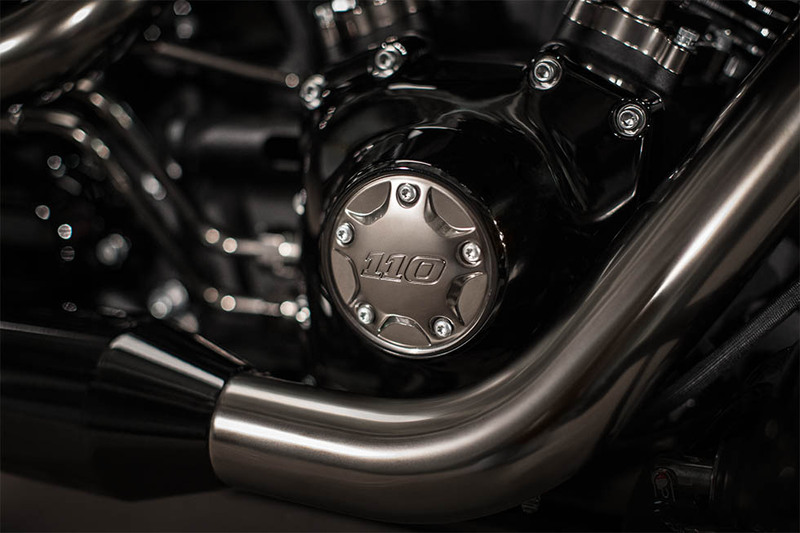 The CVO™ Pro Street Breakout® comes standard with all the latest high tech features available. 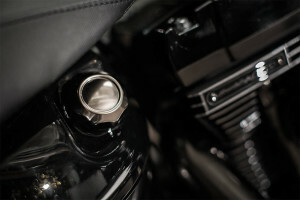 Keyless Ignition and Security System: This innovative feature lets you jump on your bike and go, no worries about turning any keys. The security system automatically activates when you step away and deactivates when you approach. Ergonomic Hand Controls: You’ve got smart, ergonomic hand controls that are designed to keep you confidently and comfortably in control. They include all the controls you’d ever want right there on the hand grips. Antilock Brakes: This bike gets standard antilock brakes in order to provide confident stopping power. That’s essential for going fast. Electronic Throttle and Cruise Control: You’ve got cruise control in order to help reduce fatigue on long, straight stretches of highway. Dual Disc Front Brakes: Not only do you get dual disc brakes up front, but you get reduced lever reach to make stopping even easier. 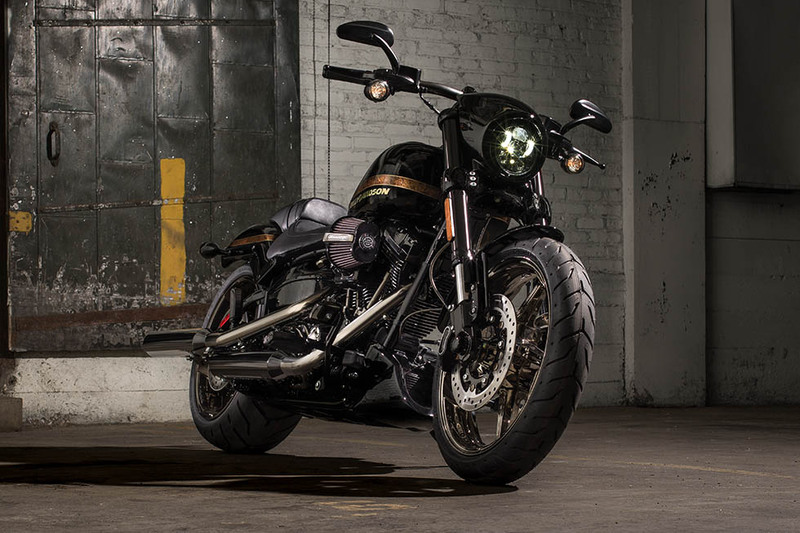 The Pro Street Breakout® is designed to handle like a dream. It’s made to ride fast, ride hard, and to bring a huge grin to your face. Smokes Satin Drag Bar: Up front, you get to grab hold of this beautiful smoked satin drag-inspired bar. It puts you in the perfect position to ride hard when that light turns green.